Chips. Fries. Frites. Whatever you want to call them, there’s no denying they’re fritzen delicious. 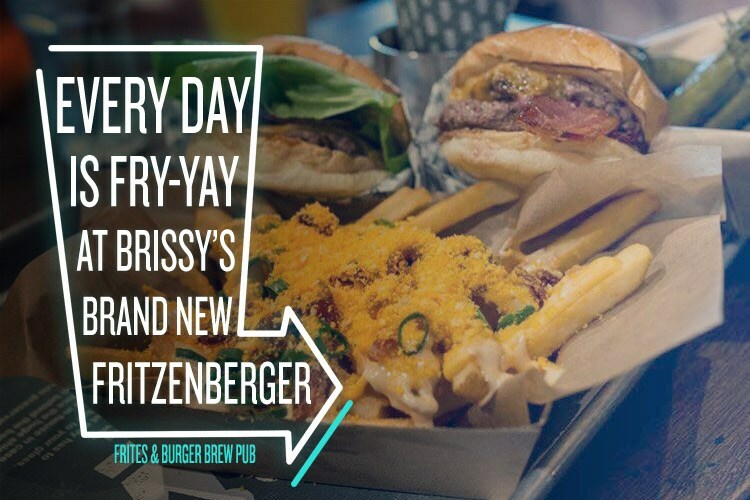 And at Brisbane’s newest pub, Fritzenberger, fries are the name of the game. These aren’t chips you could find at any greasy spoon, though. There’s a secret ingredient to Fritzenberger’s frites – and here’s a hint: it’s salt. Their house-made salts, in flavours like Vegemite, beetroot and even Twisties, are sodium delicious you’ll want to try every last one. But it’s not just the chips that are going to leave you satis-fried. Fritzenberger is the original triple threat: frites, burgers, and beer. That’s got to make you feel chipper! 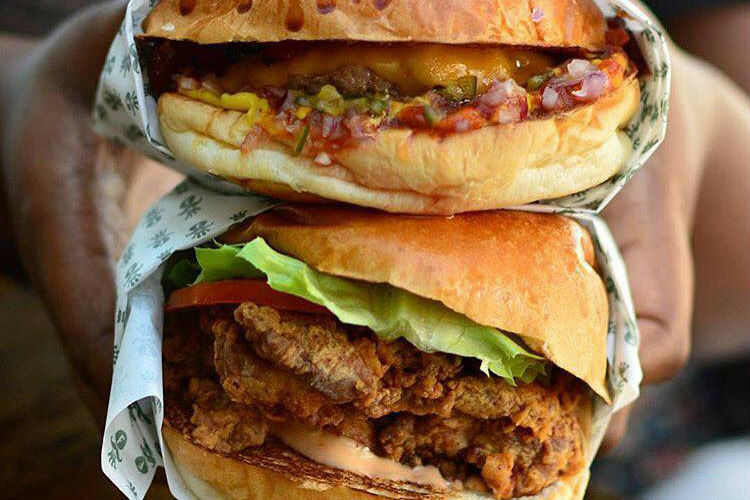 Serving up the old classics, like cheeseburgers and southern fried chicken burgers, as well as fancy favourites like the slow-cooked pork belly burger, there’s truly fun on the bun for everyone. And with a microbrewery on site, pumping out everything from traditional lagers and pale ales to an experimental coffee IPA, you know you’ll find the perfect bevvie to quench your thirst. We sat down with general manager, Andrew Jeffreys, to find out more. Hi Andrew, thanks for taking the time to talk to us. Can you tell us a bit about how Fritzenberger came about? 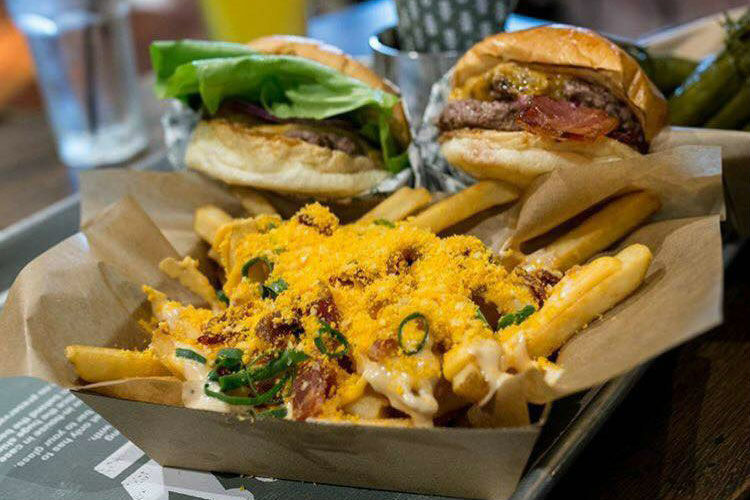 Like most people, we love burgers, fries and beers. For 4 years now, we have been toying with this concept and when this particular site came up, we knew it was time to bring it to fruition. Tell us about the frites-making process and what makes them so much more delicious than your average hot chips? What sets our frites apart from the everyone else are our house-made salts. We have a salts station where people can season their own fries to their liking choosing from our 8 house-made salts. People are pouring their fries out onto their tray and adding one flavour to one section of their fries and other salts to other sections so they can try a number of options. People are loving it, and there are some really exciting options including beetroot salt, Roast Chicken Dinner salt and even Vegemite Salt. The most popular, though, has been the Twisties Salt, which we use on our loaded frites. What’s your ultimate frites and beer combo? Loaded Frites and our Pale Ale. You also do some amazing burgers. Which is your favourite and why? Our cheeseburger. It’s simple but amazing. The idea behind it was to replicate the McDonald’s cheeseburger using fantastic ingredients. We make the pickles, we make the ketchup, the beef is 40% brisket, 40% chuck and 20% dry aged beef. Yum! What are some of the most important aspects of making a really great quality beer? A great brewer, and we have that in spades with Matt Glanville. What advice would you give to others hoping to start a small business of their own? Starting a new business is obviously very stressful and consuming. With the opening of Fritzenberger, I went into it trying to remind myself to stop and take pause every now and again to enjoy the chaos and the beginning of something new and exciting. The street has really improved in recent years. Brewski and Statler and Waldorf do a great job. You can find Fritzenberger at 52 Petrie Tce, Brisbane. For more info, check out their Facebook page.